The income tax officials in the Northeast have so far seized Rs 5.84 crore cash from the eight states of the region. 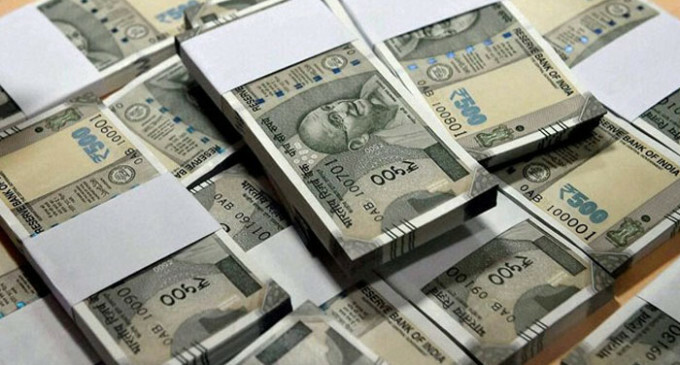 Officials of Income Tax Department said this on Tuesday while adding that the amount was seized between March 12, 2019 to April 8, 2019. “This is 482 per cent higher than the cash seizure made during the general elections in 2014 which was Rs 1.21 crore only. The cash was seized just 27 days after the model code of conduct came into force,” the officials informed. “It is more than 50 per cent of unexplained cash seized in whole of 2017-18 financial years,” the officials further informed. There are 25 Lok Sabha seats in the eight northeastern states which are going to polls in three phases – April 11, April 18 and April 23 next. In Arunachal Pradesh and Sikkim, Lok Sabha and Assembly polls are being held simultaneously. The Directorate of Income Tax has so far deployed over 160 officials at strategic locations across the region, including air intelligence teams at 12 airports. This has resulted in all-time high cash seizures of unexplained money during any election period in North East, the officials stated. As a first, the Directorate has also initiated investigation into hundreds of suspicious cash deposits and withdrawals above Rs 10 lakhs through banks across Northeast and is being assisted by the Financial Intelligence Unit of India, RBI and 68 banks in this mammoth exercise. The Directorate is going to use ‘Big-Data’ mining and analytical tools to identify high risk transactions and it is expected that investigation of these transactions may unearth substantial amount of black money.